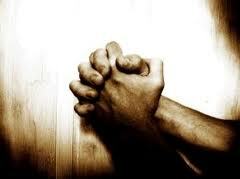 Prayer is one of the most important topics in the Bible, and in Christian life. This text is one of the richest in the Bible, when it comes to a teaching about prayer. Today we will try to focus mostly on one word – “Father”. Our Father in Heaven. Other thing that we’ll try to clarify is the question – what does prayer do to us? Right, that’s exactly what I meant. We are used to think and talk about what can we get by praying, but today we’ll try to see what does prayer do to us? In today’s Gospel text we read that Jesus was praying. Actually there are many occasions described in the gospels when Jesus was praying. He prayed every time before important events. Sometimes He spend entire nights in prayer. Why? We may wonder. We know who He was. The Son of God. The Word become flesh. True God and true man. And He was praying regularly and fervently wherever there was something important to come. For Him prayer was a conversation with His Father. And not just with His Father, it was a communion with the Father and the Holy Spirit. They all three were together whenever Jesus prayed. Three persons, one God, in divine conversation. Prayer and a conversation with the Father and the Spirit was Jesus source of strength. That was His source of peace. That was His source of wisdom. These conversations with the Father gave Him everything He needed to accomplish His mission here. He prayed and He received abundantly whatever He prayed for. Of course, Jesus disciples saw the importance of prayer for Jesus and they wanted to learn more about it. ‘Teach as how to pray.” Simple and quite logical request. But Jesus answer is somehow amazing. Let’s focus on this address and think for a while about what Jesus is saying. Actually, about what He is giving to His disciples. What He is giving to us! The disciples asked for an instruction. ‘Jesus, teach us how to pray’. Jesus instead of giving instructions gave them…what?! His own prayer. “Father!” What does it mean to address true and almighty God as our Father? Think, whom can we address as our fathers? Legitimately. The most obvious answer is – those who are our fathers. Our physical parents. Or step parents, if we are adopted as their children. Can we chose who will be our father? Can we make someone to be our Father? Can we decide whom we are going to call our father? We know the answer. We cannot. That’s impossible for us. Of course, we can decide in our arrogance that we’ll call someone our father, but what will be this person’s reaction to our address? What would be our reaction to someone’s requests, if they would decide to call us their fathers, when we are not, and ask from us whatever they want. And what, if those who do it, were not at all people whom we like? We need to realize clearly how it works. Jesus was not simply giving His disciples instructions what to do. He was changing who they were. He was changing their identities. He was adopting them as members of His family. Even today Jesus keeps adopting us into His family. He gives us new identities. The children of God. The sons and daughters of true God. How? In the holy Baptism. I’m talking about you. All of you. Our Baptism is the only reason we can pray “Our Father”. What an incredible gift! Week ago a boy was born. So what? Seemingly what a big deal. But He just happen to be born in a royal family. The royal family! Of course these were the main news of the week. What can we do to receive such an honour, to be born in a royal family, to be able to call prince our father? How long do we need to strive? What should we achieve? Answer is… that’s impossible. You see, our God is, indeed, prodigal in His grace! There is nothing we could do to merit His grace, to become His children. There is nothing in us that would make us worthy this honour. Nothing. Only thing we have and that really belongs to us is our sin. Our evil desires, all of them well known to God. Regardless of who we are and what kind of people we are He adopts us as His children, in His family. He receives us, each of us in the communion with the Father, with the Son and with the Holy Spirit. When we are united with Christ, we are united with the Father and the Son and the Holy Spirit. These are too big things for us to comprehend. But there is more mystery to come. We know that God is holy. We know that nothing impure or sinful can come into His presence and stay alive. How can then we, conceived and born in sin, come before Him and call Him our Father? The answer is – only because we are in Christ. In our baptism we have put on Christ. Whenever God looks at us, He doesn’t see us. Under Christ’s holiness and righteousness He doesn’t see our evil hearts, our sins, Christ covers all of this. God the Father sees only His beloved child. You. Each of you. As long as we remain in Christ, hidden under His righteousness, we don’t have to be afraid to approach our God. As long as we remain in Christ we can pray God as our Father and we can be sure that He, as our heavenly Father, will provide whatever we may need. When Jesus accepts us in His family, He does it by means of the Holy Spirit. We all have receive the same Spirit. We all are united in the same Spirit and by the same Spirit. The same Spirit who helped Jesus to live according the Father’s will, who raise Him from the dead, the same Spirit indwells in us. But there is a problem. We all know about it. It is not easy to live up to our new identity. It’s very difficult to be a Christian, to remain in Christ. Because we still live in the same old flesh. We still have our doubts, our anger, our selfishness, jealousy, covetousness, rebellion against God’s will and desire to decide ourselves what is good and what is not. They all edge out even if we have put on Christ. What can we do? Here we come to our second theme – what does prayer do to us? This may sound weird. We are used to think about prayer as about something we do to get something for us. But now the question is posed – what does prayer do to us? We already talked about the incredible gift of God, the very opportunity to approach true God as our Father. This could be done only thanks to our new identity as children of God. This identity is not formality. It is reality. When God speaks, thinks happen. When He says that He makes us His children, it happens. When He says that He gives us His Spirit, it happens. No doubt. Our new identity, a Christian, comes with real changes in our life, if only we remain in Christ. Slowly, step by step, we are changed into Christ’s image and likeness. We are taught what does it means to be a children of Heavenly Father. We are slowly renewed to be like Christ. The more we learn about our God, the more we realize that everything, everything is God’s gift. Everything we have and everything we are. There is nothing that we haven’t received. What it tells about our relations with the Father? We come before Him with empty hands. As beggars. Yes, beggars. Because there is nothing we can bring to Him, apart from our sins, and they are not the best gift anyway. This is what prayer does to us. We are gradually shaped to live a life for which we were created. We move from our independence to dependence from God. It may sound so wrong to Western people. We are indoctrinated by culture that we need to strive for autonomy. Autonomy is good. Dependence is bad. Why would you need this crutch? This is exactly what the serpent said to Eve in the garden of Eden. You will be like gods, not like creatures anymore. Autonomous, independent form God, without this crutch! But what happened? By God’s design man was put over entire creation, only God Creator was above Him. Dependence on, trust to God, who gives us everything is not a crutch, but clear, without self-delusion, understanding of who we are. When man wanted to become like God, he fell. Very low. Starting to worship and trust different things in creation. Instead of receiving everything from Creator and ruling entire creation, man himself started to invent endless crutches to feel safe and seemingly in control. Nevertheless, God is faithful, He really knows what we need even before we ask for it. And He gives it. We just need to learn to see and to appreciate it. That is what prayer teaches us. Learn to receive from God’s abundant goodness and rejoice in it. But we want to come before God proud about our achievements. But when we pray as Jesus and the Holy Spirit enable us, we learn about our continuous failures to live according God’s will. Then we can enjoy when the Holy Spirit begins to live and work through us. Not as we desire, but as God wills. We like to be strong and wise, but when we come before our Father we learn to recognize our weakness and foolishness. Then we can trust not our abilities anymore, but God’s power and wisdom who works within us. We want to think about us as righteous, but the Holy Spirit and the Word of God teaches us to see our sin. Then we don’t boast anymore about us, but we rejoice in God’s grace and Christ righteousness, which is put on us. Prayer teaches us to die to ourselves and to live for God, living for our neighbours. This is a paradox of Christian faith. We cease to be strong, wise and righteous in our autonomy, to be much stronger, wiser and righteous in Christ who dwells in us. Thus prayer restores and helps us to be what we are created to be. This is what prayer does to us. When we pray in Sprit through Son to Father, we are invited into the Divine mystery. Triune God is present and works with us. We wouldn’t have the Father if there was no Jesus Christ. We wouldn’t be able to pray God as our Father and seek His will, if the Holy Spirit was not encouraging us. Thus we see how God the Father and the Son and the Holy Spirit uses prayer to be with us and to renew us. Of course, we are commanded to pray. This is a command of God. And when we obey we are transformed in His likeness. In conclusion just a short story. Luther did a lot. He read the Bible twice a year from cover to cover. Often in original languages. He lectured for more than 30 years and wrote extensively. His works and compiled in 127 [!] volumes. Volumes not pages. His rediscovery of the Gospel changed entire world – in renewed the Church, society, culture, science… everything. This is what prayer did to Dr Martin Luther. And through Him to us. May our Father in heaven through His prayer does at least a little bit of this to all of us. ← Watch this! Is tolerance intolerant?